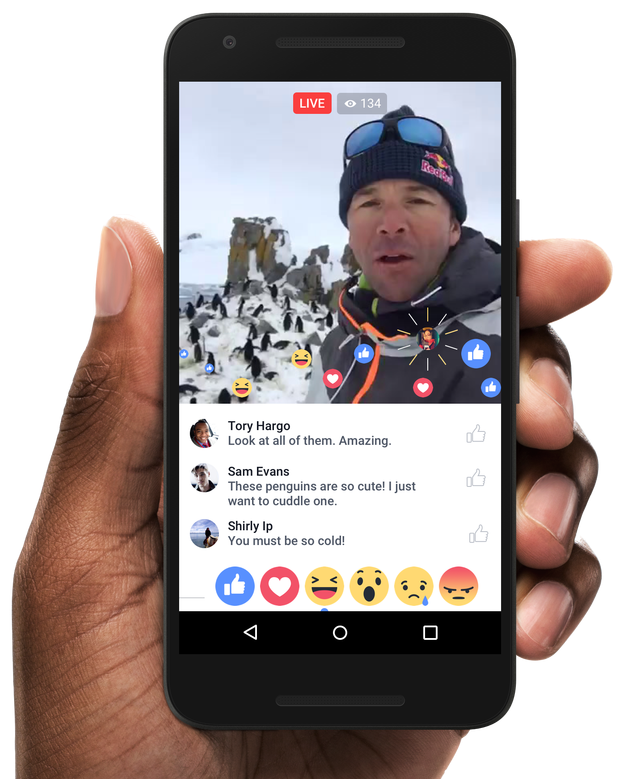 Facebook has launched yet another incredible new marketing tool- Facebook Live. This new feature could essentially change how you watch video. On the surface, Facebook Live is merely a basic feature offering live streaming video to users. Users can tap the live stream icon and start broadcasting video live from their smartphone and have the option to write narrations for their videos. Users following each other will be able to watch these broadcasts, at the end of the videos you can select “finish” to wrap up the video, upon which the video is published permanently on the user’s timeline. For now the time limit for the broadcasts is 30 minutes, users can also block specific accounts if they’d like. On a superficial level this live-streaming service is similar to ones already available, such as Snapchat and Periscope which offer live-streaming for users. However, there are unique differences with Facebook Live, you can retrieve and watch the video at any time as well as associate it with other Facebook features. This feature has the potential to change the way we watch video, until now, you can either watch the entire video until it got too boring, wait for an interesting bit, or fast forward hoping that something catches your eye- however one of the features of Facebook Live is it tells you when the good part of the video is coming, when users are very entertained they can fire off live comments and reaction emojis during the broadcast. These reactions work to show when the broadcast is getting the most engagement, essentially, allowing users to see when the video gets the most entertaining and skip to that part. Marketers are able to use this feature for a number of broadcasting opportunities; live-streaming company announcements, events, workshops, or content-heavy like strategy sessions and interviews. No matter your businesses, there are a number of benefits to this feature being implemented in your digital marketing strategy. For one, the more a page broadcasts the more “followers” it attracts,it also allows your users know in advance that you’re planning to broadcast- drawing a larger audience. And finally, it is a sure fire way to engage with and attract new followers, gain feedback, interact directly with users by responding to their comments, and make the experience as participatory as possible.